A luxe option. 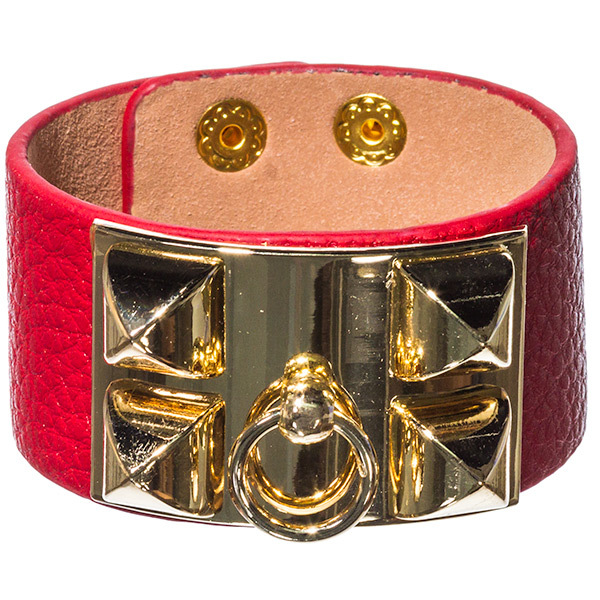 The Lesly is inspired by trend accessories designed by European fashion houses, mixing a palette of red and gold in a leather bracelet with metal and press-stud detailing. Team it with a sleek high ponytail and kissable lips. Add this beautiful piece of fashion jewellery to your collection today.